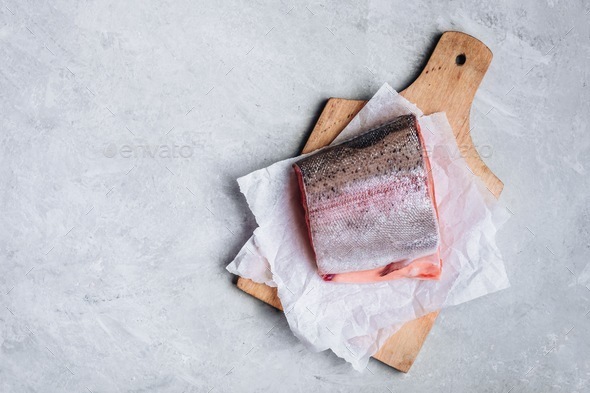 Fresh raw salmon or trout for cooking on gray background. Fresh raw salmon or trout for cooking on gray background. Top view, copy space.